Dim sum meals have been on my schedule for the past several weeks. Every time we go, one of my first choices is the Lo Mai Gai, which some know as lotus leaf wraps or sticky rice chicken. 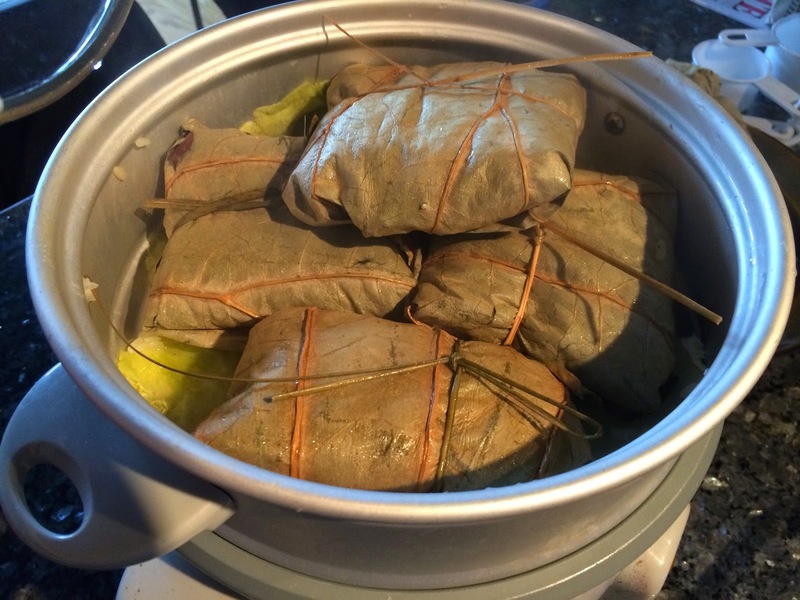 Whatever you call them, these dim sum specialities arrive fresh from a bamboo steamer. This was my first time trying to make this amazing dish. I found several recipes online, but one complaint I always have is the flavorless chicken some restaurants use. Rather than trusting recipes online, I decided to tweak just about everything on several different recipes and add a little Filipino touch by using an adobo chicken recipe. Enjoy! Start by washing the sticky rice until water runs clear. Then place into bowl and immerse entirely in water for minimum of 2 hours. Longer is definitely better since no additional water will be added to the rice when cooking. For the chicken, after being diced, pour the chicken marinade and allow to rest for minimum 1 hour or until you begin cooking the sticky rice. 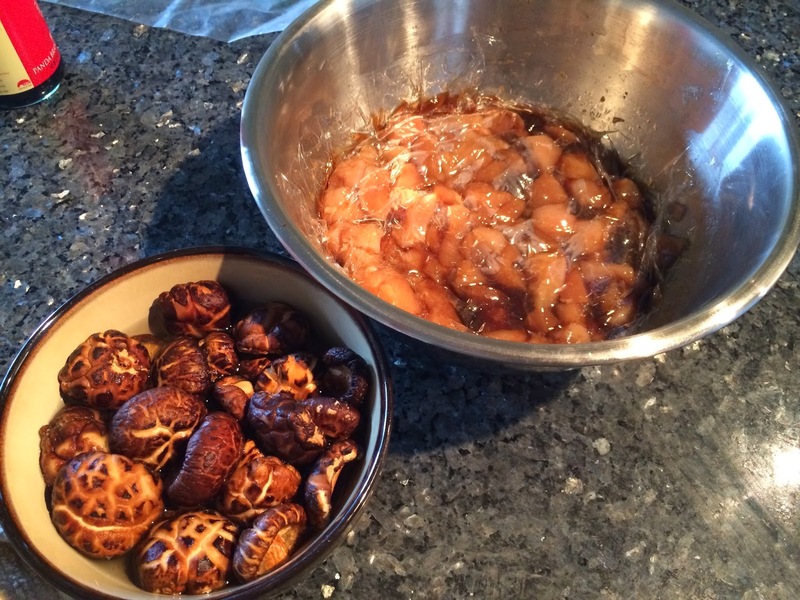 The mushrooms should be submerged in water and allowed to rehydrated for a minimum of 30 minutes or until soft. After rehydrated, they are easier to slice. Start by lining some kind of steamer (bamboo, elevated rice cooker, etc.) with cabbage. 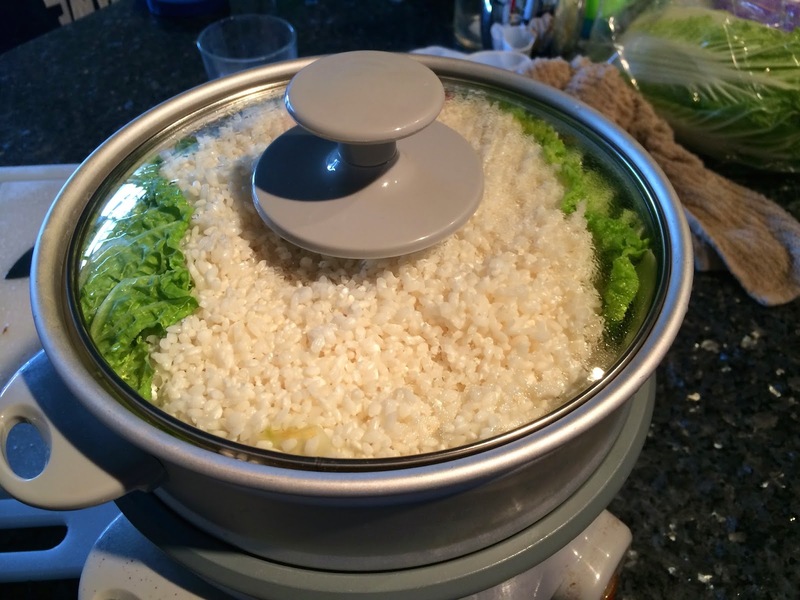 Place the rice into steamer and add above the boiling water for about 20 minutes. After 20 minutes, stir the rice and recover for another 10 minutes or until soft. The rice will get sticker as it sits. The chicken can be cooked at the same time. In a large pan, stir fry the chicken until almost fully cooked. Add the diced mushrooms, sliced Chinese sausage, and oyster sauce. 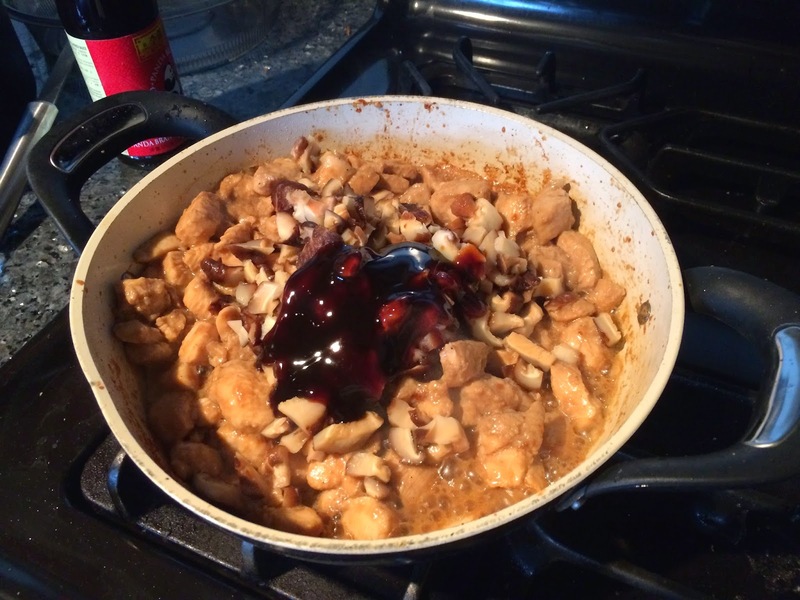 Add additional oyster sauce if you want additional flavor. Salt and pepper to your liking. Once chicken, sausage, and mushroom mixture is cooked, add the sticky rice and stir. Remove from heat and allow to cool just enough to be handled. 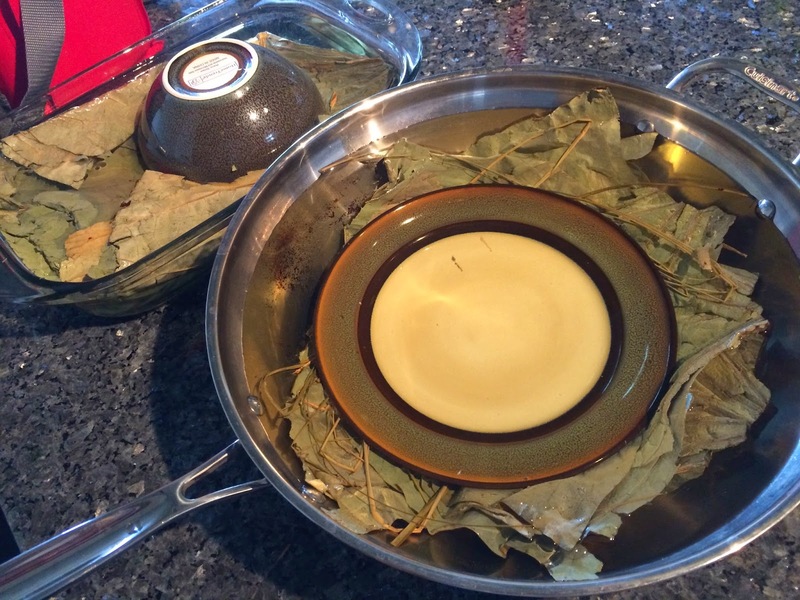 When it is time to wrap the mixture in the lotus leaf, start by getting the steamer ready. Have it pouring off steam with a new cabbage leaf bed. Prepare each wrap by placing the rehydrated lotus leaf ribbed side down (smooth side up). 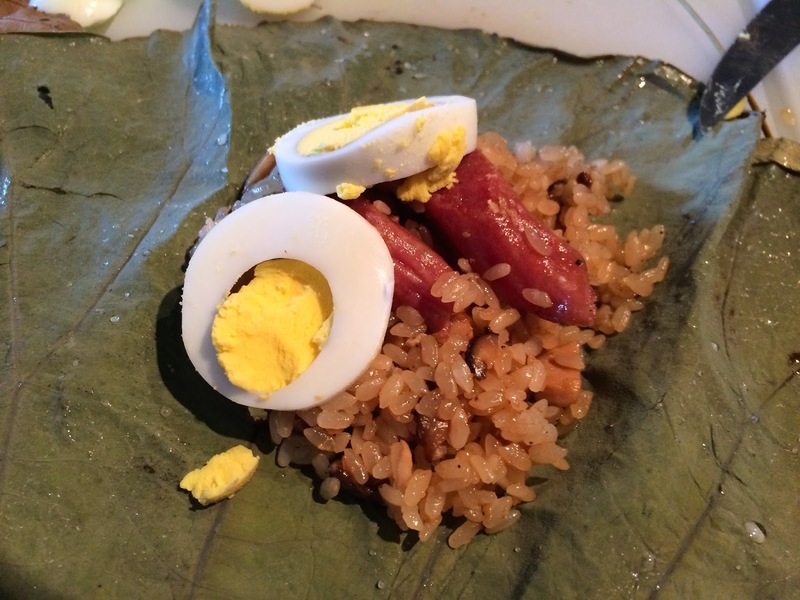 Place a layer of the rice mixture, add a couple slices of egg, a couple pieces of Chinese sausage, and then top with another layer of the rice. I tend to make each lo mai gai about the size of my palm. 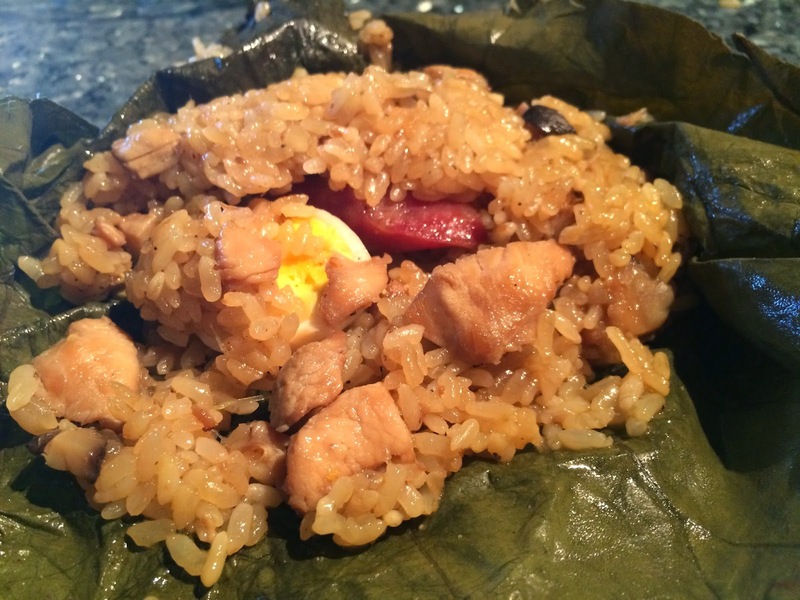 Fold the lotus leaf around the rice mixture you just created and finish by tying the lotus leaf closed. Steam for approximately 30 minutes until the lotus leaf turns from a lighter green to a dark, wet-looking green color. It took me closer to 40 minutes, but that may depend on your steamer. Allow to cool a little and serve. The longer it has to cool, the stickier the rice is inside the lotus wrap. - These are good for Freezing! Just steam first and then allow to cool. Place into zip lock bag and freeze. I wouldn't use eggs though if you are planning on freezing the lo mai gai. - The dried lotus leafs are easily found in Chinatown. They are pretty cheap, costing $1.79 in Chicago's Chinatown. - Addition of a little sriracha or chili oil would give it a nice spice.